Don't you hate it when you go somewhere and you are wearing the exact same thing as someone else? 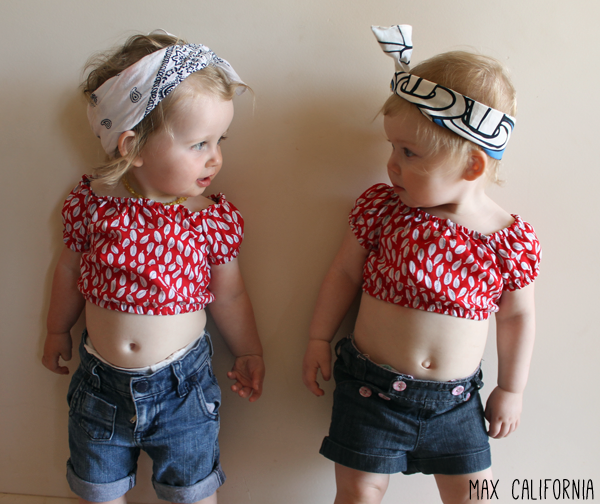 Lucky for these two, they are not old enough to protest to being dressed alike. Meet Edison's friend Megan! She is 3 weeks older than Eddie, and was born and has spent most of her little life in Tasmania. Her family just recently moved back up our way, and it is fun for Eddie (and me!) to have someone here that is her age. Her older brother is one of Vinnie's friends so playdates work out well! 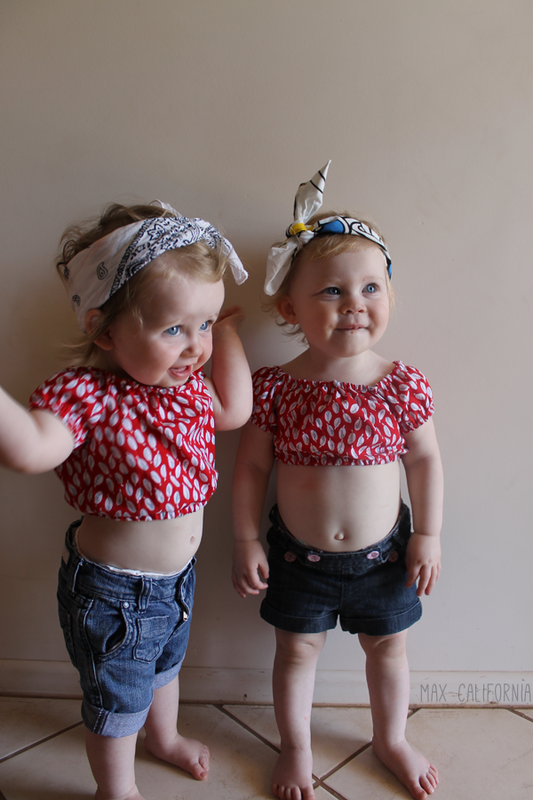 I used Sew Chibi's peasant top pattern, keeping the sleeve length the same. 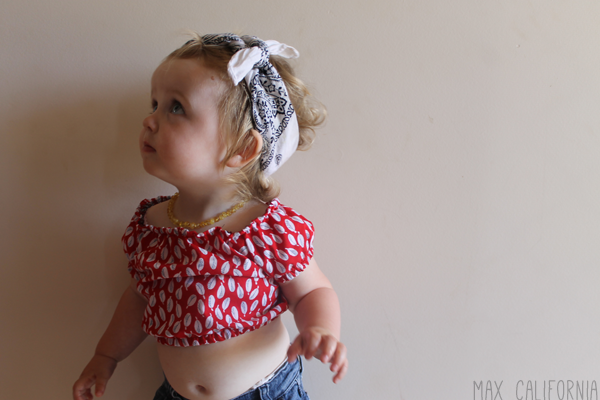 I added about 10cm to the bodice pattern to make these little cropped tops. I ran elastic around the sleeve hems, the neckline and the bottom hem of the shirt. They're so easy and quick! 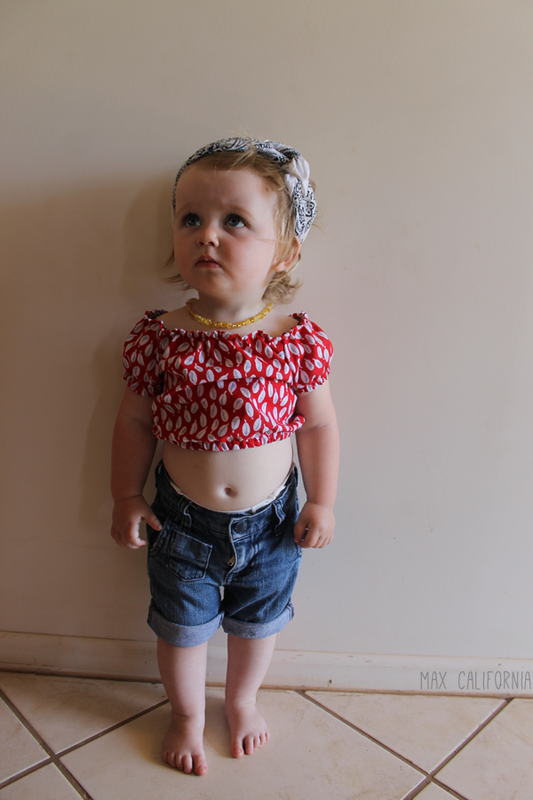 Megan was already wearing little denim shorts when we took the pics, and I just loved the way it looked on her with the shorts, so when I dressed Eddie in hers I grabbed her denim jeans shorts off the line too. 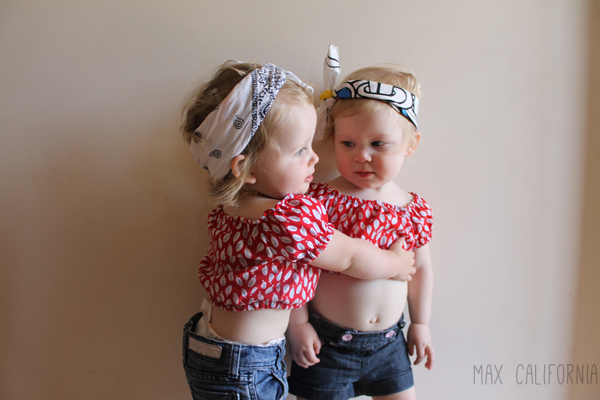 I styled both the little girls with bandannas, the one Megan is wearing is the one I made Eddie during the Sew Fab Sale when I made her a nightgown into a dress. I know a lot of people aren't comfortable with cropped tops or bikinis on children, and although we don't let Eddie wear bikinis, we are totally fine with her flashing a bit of baby belly at this age. 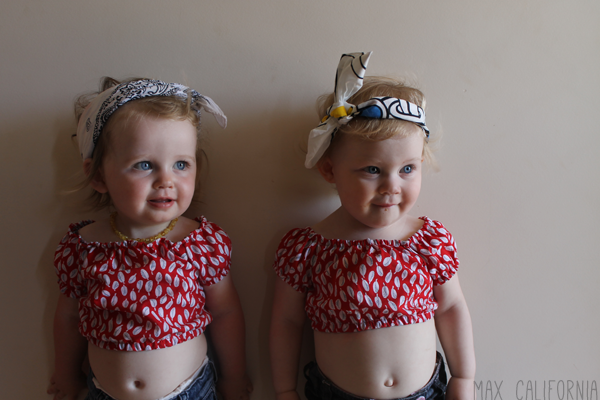 I'm a bit excited to have two little 'twins' to sew for now, expect a lot more matching outfits for Eddie and Megan! 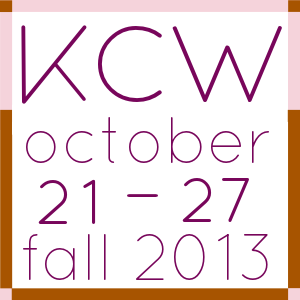 Check out what's other people are sewing! Those bellies are just primed for raspberries. 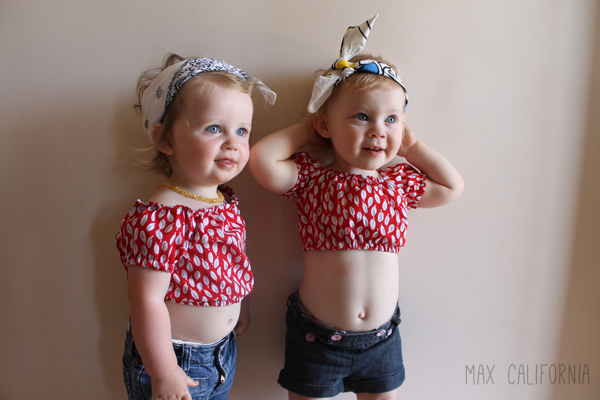 I'm not normally a fan of cropped tops on kids but man this bubble top is ka-ka-ka-ute! Bring back the bubble top!!!!!! My girls need one of these before summer is gone. I know thats ages away, but im finding it tricky to get any sewing done with a 2 month old who wont sleep during the day unless she is on me. 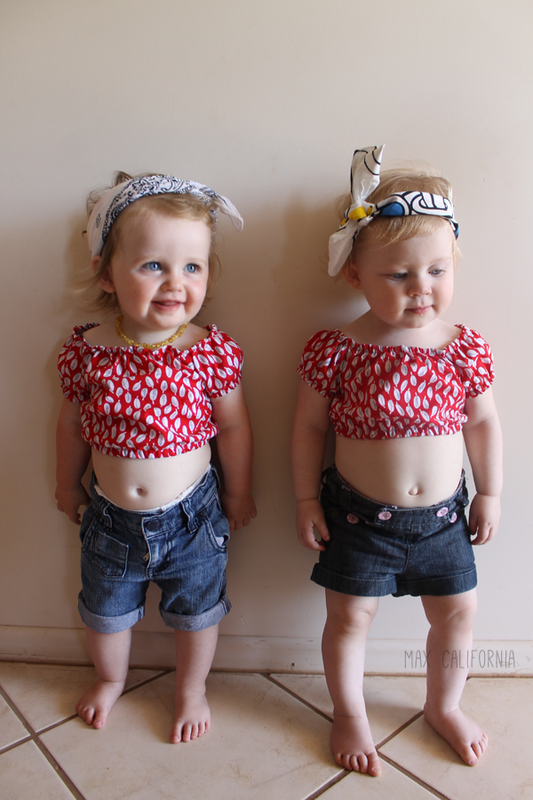 Cute outfits! They even look like they could be Twins ! I was going to say the same. They just too cute for words! OMG...... These are the cutest little bits ever!! And congratulations on your new home - enjoy!! I thunk the outfit looks so fun. And wgo doesn't love a baby belly. Sge is syper cute and with this outfit super cool.